A new series of contemporary music and arts events, ‘Sounds of the Silk Road organised by the Louth Contemporary Music Society (LCMS), will be launched this April as part of the Drogheda Arts Festival. The first performance of the series will feature work specially commissioned by the LCMS by Dmitri Yanov Yanovsky a composer from Uzbekistan a country at the cross-roads of the rich oriental and Islamic traditions of Central Asia. The work has been has written for world renowned Hilliard ensemble, Ivan Monighetti one of the world’s most accomplished cellists who stunned audiences with his performance at the Drogheda Arts Festival 2010 and some of the foremost Irish musicians in the newly formed EQ Ensemble which includes Cliona Doris,harp, Malachy Robinson,bass, Elizabeth Cooney,violin, Cian O’Duill,viola, Maria McGarry,piano, Deirdre O’Leary, clarinet, Susan Doyle, flute, Chris Stynes and Maeve O’Hara, percussion. The concert will take place in St Peter’s Church of Ireland Drogheda on the 29 April 2011 at 8pm. The piece ‘Morning’ based on text from Robert Lax’s poem ‘Morning’, from his book called Circus of the Sun described by the New York Times as one of the masterpieces of the 20th century. Lax was also a friend of the writer, monk and mystic Thomas Merton. Louth Contemporary Music Society gratefully acknowledge the Lax estate for permission to use the poem as the basis for the new work. The performance will also include another of Dmitri’s works called Nightmusic – Voices in the Leaves which was written for Yo Yo Ma and the Silk Road Ensemble. World renowned Lydia Kavina will open the concert with a contemporary piece called Kitezh 19, by Iraida Yusupova. Iraida is Russian but was born in Turkmenistan. Lydia plays music on a theremin, an electronic instrument which makes music without touching. It is an unusual instrument based upon the technology of proximity meters and was invented and pioneered by Lydia’s great uncle Leon Theremin in the 1920’s. Leon Theremin was a Russian engineer who invented the electronic musical instrument that bears his name, and his story is as strange as the music the thing produces. After experimenting with radio vacuum tubes, Theremin developed a machine (1917-20) whose pitch and volume could be controlled by the movements of the performer’s hands — without touching the instrument. The instrument was demonstrated for Vladimir Lenin, who was so impressed he ordered their mass production and asked Theremin to give him lessons. Theremin also taught and mentored Lydia to play with the exceptional skill and feeling she shows in her performances today. She has become an icon for performances with the Theramin and will be giving a workshop on the instrument for both beginners and advanced players whilst she is in Ireland. The concert and events are the latest of several high profile art music events organised by the Louth Contemporary Music Society which have brought world renowned composers to Ireland, previously having successfully featured, Arvo Pärt, Philip Glass, Terry Riley, Valentyn Silvestov and to the 2010 Drogheda Arts Festival, the Russian composer Sofia Gubaidulina. The event in April will be the first of three major events to make up the Sounds of the Silk Road series. Two more major performance events, ‘Dervish’ and ‘Fire and Water’ will follow later this year and in 2012, continuing the Silk Road theme and will feature a composer from Azerbaijan and a Chinese composer. To enrich the experience of the Silk Road this April, LCMS are also organising additional Silk Road arts events during the Drogheda Arts Festival. These will include a free showing of a film about the Silk Road on 29 April at 6.30pm in the Barbican Drogheda and a children’s art workshop with painting on silk, called Silk Worm on Sat morning 30 April at 11am in Barlow House, Drogheda . The screening and workshop are both free. 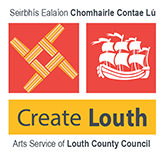 Sounds of the Silk Road is presented by Louth Contemporary Music Society (LCMS) in association with Create Louth. 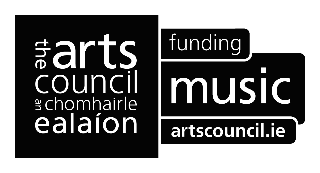 The event is funded by The Arts Council / An Chomhairle Ealaíon and financially supported by Create Louth. Tickets for the performance priced €15 are available from www.centralticketbureau.com and Droichead Online Booking Service www.droicheadartscentre.com/booking. Tickets for the screening of the film The Silk Road are available from the festival box office in Droichead. Lydia Kavina will also give a free workshop on the music of the Theremin on the day of the concert for the interested and simply curious. The venue and time of the workshop will be announced later. Performers:Ivan Monighetti (cello), Maria McGarry (piano), Malachy Robinson ( double bass), Cliona Doris ( harp), Deirdre O’Leary ( clarinet), Susan Doyle ( flute), Chris Stynes ( percussion), Maeve O’Hara( percussion), Elizabeth Cooney(violin), Cian O’Duill(viola). Plus Tape. 29 APRIL 2011 AT 8PM.